The DIY method of installing a glass balustrade to a brick wall is to simply screw base plates down and walk away- this method is easy, fast, requires few tools and is convenient…..but is it safe? More often than not, no. Where a balustrade guards a fall in height, safety is paramount and fixing a structural glass balustrade system with bolts into the top course of brickwork will not offer a stable fixing in most applications. The preferred, professional fixing method is to core-drill ‘slugs’ out of the wall and grout the posts into the wall, providing a balustrade that is as strong as the wall itself. Other benefits of core-drill installation is that a wall can often run out of level, or be uneven which would create a problem for a rigid fixed balustrade with base plates- A core-drilled system can be raised and lowered as required within the holes and installed perfectly level, despite any uneven ground below. Is core-drilling for everyone? No – it’s a skilled installation that should generally not be attempted by a novice or DIY enthusiast. Is it the best method to install into a brick wall? Yes, probably. See below our recent example installation, completed this week for our customer Phil in Yorkshire. 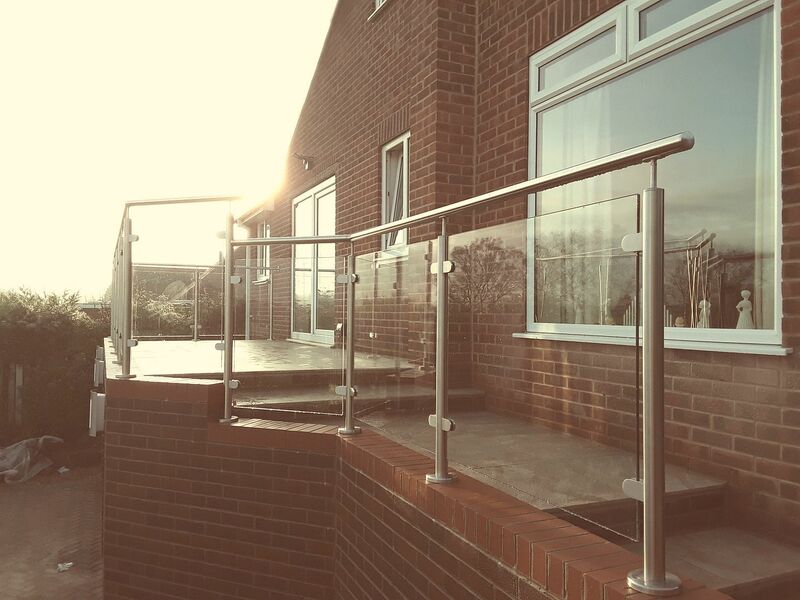 The system is our ever popular stainless steel and glass balustrade system 1 with upright posts, handrail and clear glass infills. Cover roses are used to cover the core-drilled holes and provide a professional finish.